Traditionally, these beautiful items were filled with exquisitely prepared and designed foods yet today’s versions are equipped with special sealed lids containing gel to keep foods cool and are microwave safe for when you want to heat your meal. The interiors are compartmentalized and double-layer versions are available too. When you visit the site, you’ll find that there’s a great selection of accessories too, such as chopsticks, regular cutlery and interestingly, food cutters and molds. These can be used to make elegantly shaped foods for adults or fun shapes for kids. (See below). 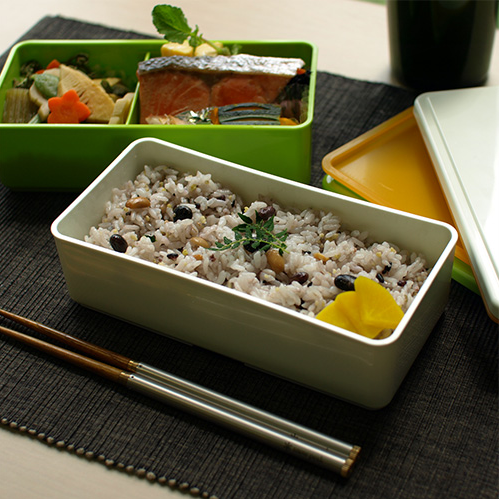 In Japan, there are regular contests where chefs compete to make the most attractive bento! Do take a look at the other Japanese goods too – I especially like the ‘tea for two’ ceramics and the beautiful Japanese gift wrap – perfect if you are buying a bento box as a gift.